A new analysis has revealed that advanced satellite-based instrument capabilities are needed for global monitoring of microscopic particles, or aerosols, in the stratospheric layer of the atmosphere. Aerosols in the stratosphere—located above approximately 12 kilometers—increase drastically after a volcanic eruption, leading to changes in the Earth's climate and providing a critical opportunity to test scientific models designed to predict short- and long-term climate variations. When a volcano erupts, large amounts of ash and sulfuric-acid particles can blanket the entire planet, blocking much of the sunlight and temporarily causing global cooling. Scientists are now exploring whether this blanketing effect could be used to counteract global warming by injecting man-made aerosols in the stratosphere. Such geoengineering projects would also require a way to monitor the amount and size of artificial particulates in the stratosphere and the resulting climate effect. "The global nature of natural and man-made stratospheric aerosols means that a specialized Earth-orbiting instrument is necessary to obtain comprehensive information on their properties and distribution," said Janna Dlugach, a member of the research team from the Ukraine's National Academy of Sciences. 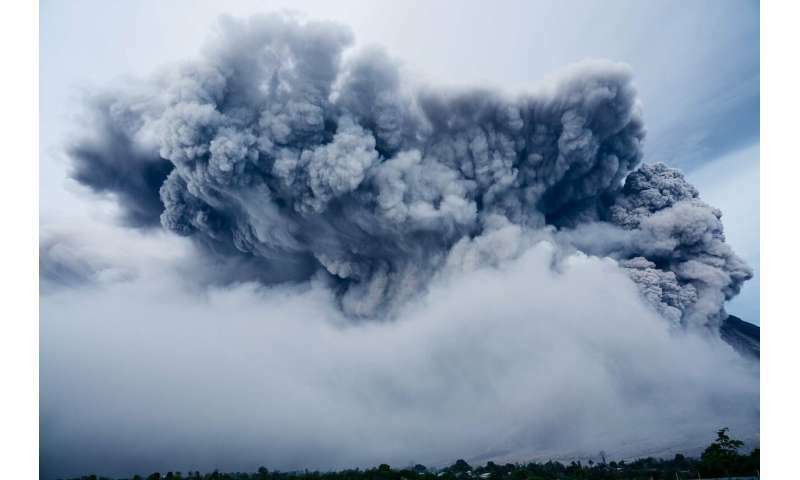 "This information is critical for testing climate models and for monitoring climate effects from potential geoengineering projects and major volcanic eruptions, which can affect the livelihood of the entire population." Measurements of reflected sunlight by orbital instruments are usually dominated by bright water clouds, the land surface and aerosols found in the troposphere—the atmospheric layer closest to the ground. "This is not problematic when stratospheric aerosols are minimal and thus unimportant relative to tropospheric aerosols," explained Dlugach. "However, it becomes essential to separate out the light coming from stratospheric aerosols in the case of volcanic eruptions or geoengineering activities."